Recently YU has released their first high-end smartphone, YU Yutopia, which has been priced at Rs. 24,999. 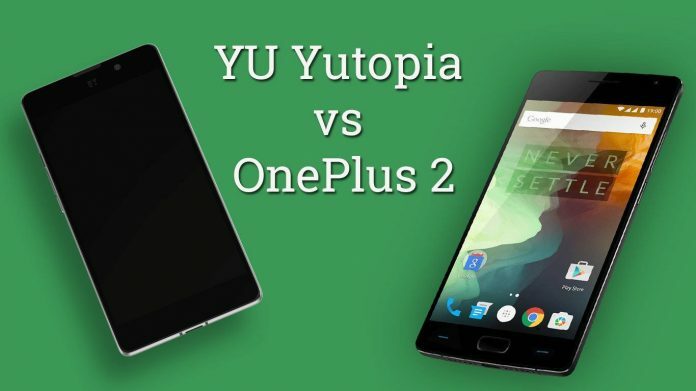 YU has used OnePlus 2, the flagship device from OnePlus, as their marketing barometer and has compared all their features and specifications with OnePlus 2. It is to be noted that both the devices are priced at the same rate, i.e. Rs. 24,999. There are many similarities between these two phone beside their prices. They both are available only via Amazon India, though YU Yutopia is on pre-order and the shipping will start from 24th December onward. Both phones are powered by Snapdragon 810 and Adreno 430 GPU, so there is no complaint about performance. The only issue could be battery, camera and build quality. So let us start with the specification comparison of YU Yutopia and OnePlus 2. 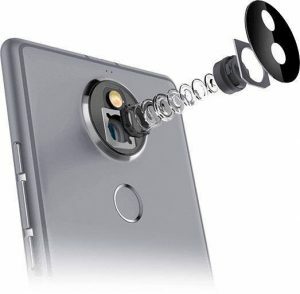 21 MP Primary and 8 MP front camera. Overall, both the phones are quite similar in their specifications, and both the phones are priced at the same rate. Not both the phones are perfect by all means, for example, both the phones are missing NFC and wireless charging. When the question arises “which phone to choose?” then the personal choice is the only factor that will matter in this comparison. 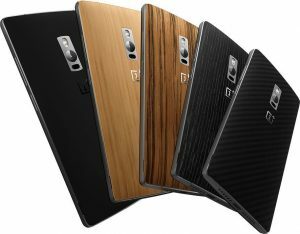 Both the phones have similar processor and RAM and both runs on custom Android ROM that has many customisation options.